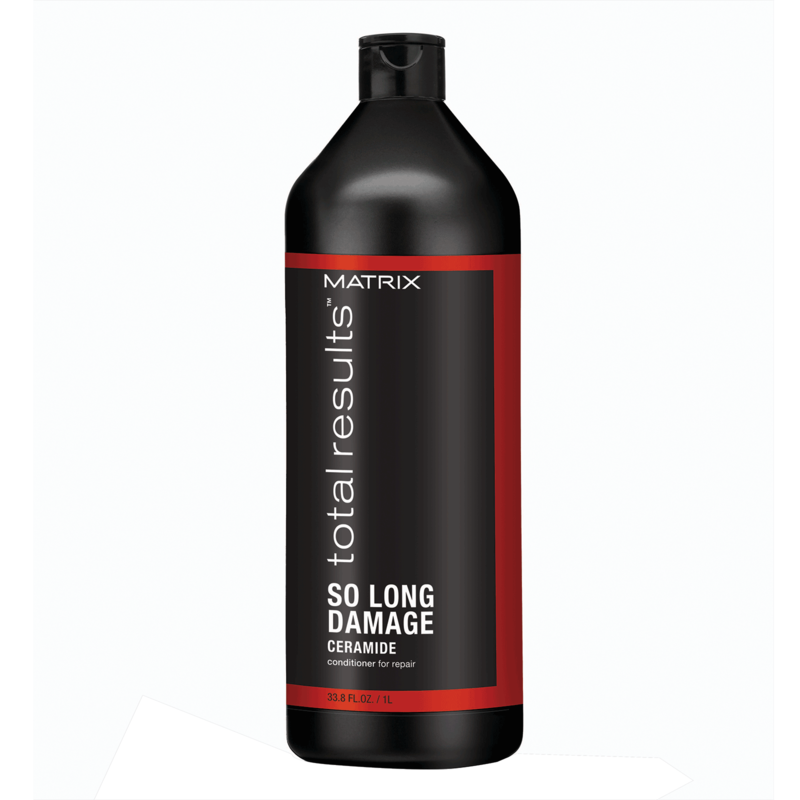 Matrix Total Results So Long Damage Shampoo restores distressed hair and resurfaces the cuticle with Cuticle Rebond Technology™, featuring Ceramide + Amino Silicones for salon perfect results. Shampoo cleanses to rebuild brittle strands while it boosts strength and shine. It''s excellent for color treated hair. 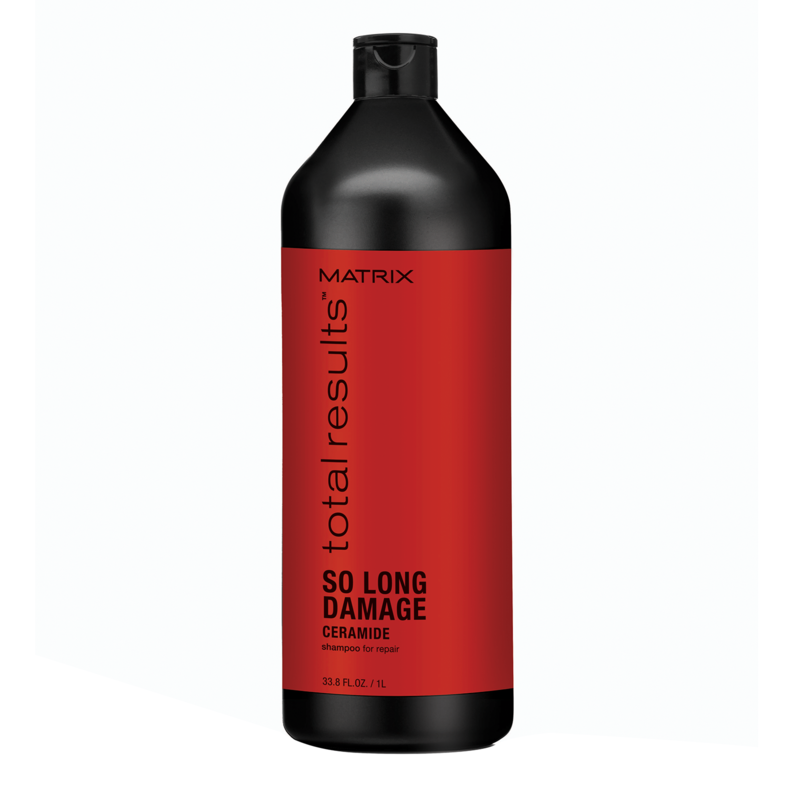 Matrix Total Results So Long Damage Conditioner cares for damaged hair. This Conditioner meets the challenges of fragile, broken hair. With Cuticle Rebond Technology Repair, So Long Damage Conditioner delivers nourishing strength and healthy shine to rebuild brittle strands. 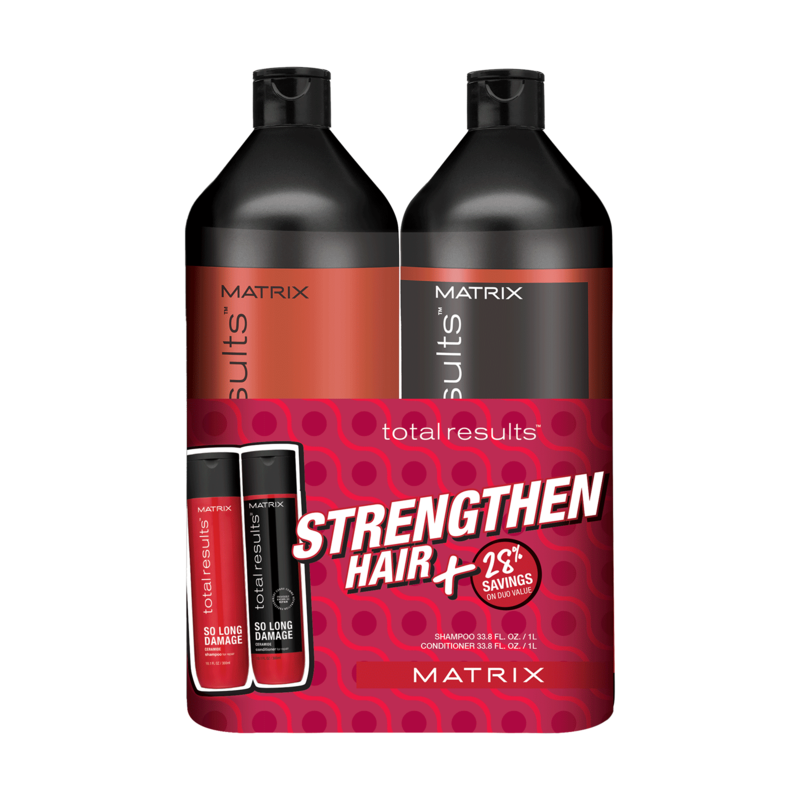 Your salon-perfect results: totally strong hair with less breakage.